Periodically, I feature a science video created by students. In this post, I would like to point you to a nice video produced by Reza M. Namin, an undergraduate student in mechanical engineering at Sharif University of Technology in Tehran, Iran. He is also doing research on the physics of fluids, specifically a phenomenon known as a “floating water bridge”, which was recently published in Physical Review and featured in Science Magazine’s ScienceShot. To better share their findings with others, Reza and his collaborators (fellow students and professors) created an informative and professional video, which describes the floating water bridge, how he and fellow students became interested in it, and how their research helps explain the forces behind the phenomenon. The video not only does a wonderful job of explaining the phenomenon but also shows how scientists go about testing hypotheses with a series of experiments. It’s a good example of how a video can complement a technical article and enhance understanding of the science. I liked how team members explained different aspects of the research, which were nicely illustrated with images, drawings, and other visuals. Most importantly, I was able to understand and follow the information provided in the video, even though fluid dynamics is not something I know much about. Great job, guys! I hope to feature more student videos, so if you’ve produced one or seen one that you liked, please let me know. 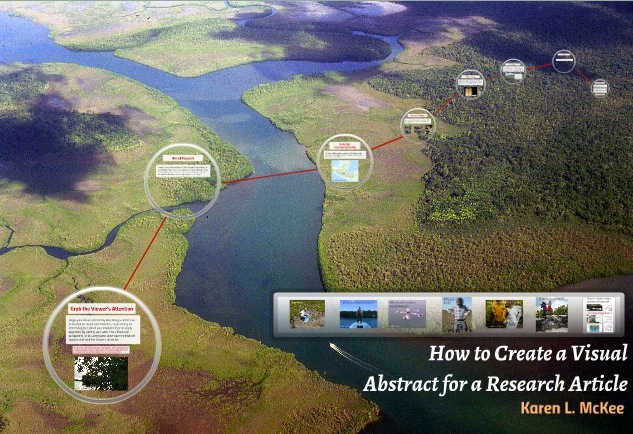 Some of my science videos contain clips filmed from a helicopter, which I’ve used occasionally to conduct research in the Mississippi River Delta (this video, for example, showing aerial footage of both the Mississippi River Birdsfoot and the Atchafalaya Deltas). Such opportunities are rare for the average scientist (or videographer) because helicopter time is quite expensive. However, an aerial perspective can really add to a science story about an unusual or extensive landscape or a remote ecosystem. We now have a viable alternative to expensive helicopters: remote-controlled quadcopter drones outfitted with cameras. Filmmakers are beginning to take advantage of drone technology to capture stunning aerial footage at a reasonable cost. In the video below, a film crew shot an unusual video in ice caves that riddle the Mendenhall Glacier in Alaska. They apparently were able to fly the drone (a DJI Phantom) into the caves and crevasses by using the GoPro Hero 3 camera to see how to maneuver. A wireless link between the camera and a viewing screen (on a smartphone or tablet) allows real-time viewing as well as camera operation. I would have been pretty nervous about sending a drone and my camera into a deep hole from which recovery would have been impossible…..but they got some quite spectacular footage. Read more about the making of the ice cave film here. From what I read, setup and operation of these quadcopters is not that easy. Several commenters on one site selling the Phantom described how their drones flew off (with the GoPro Hero camera attached) never to be seen again (even though there is supposed to be a fail-safe return mechanism). That would be quite disappointing, to say the least. So, the quadcopter is on my wish list, but I may wait a while and do some more research before purchasing. You may have seen a couple of my tutorials on creating time-lapse movies using still images taken with a camera and with Lapse It, an app for smartphones. In this post, I provide a tutorial for those of you who have (or wish to) the popular action camera, GoPro Hero (I recommend watching their marketing trailer–it’s great). I found the GoPro Hero 3+ easy to use to capture a series of images for time lapse. Because it comes with a waterproof housing, the camera can be set up underwater, in the rain, or in other wet locations. You can shoot over long time periods without worrying about water damage due to a sudden rainstorm. You do have to edit the images to create the final time-lapse film, but the GoPro Studio application makes this process pretty painless. As you saw, just import the images from the camera and within a few minutes, they are converted to a movie clip. Tip: Note that the GoPro Hero 3+ can take up to 12 megapixel-size images, which are beautiful, but huge. If your time-lapse film will be shown on the internet, you don’t need such large images, which will result in a very large file when converted to a movie. Dial back to 7 or 5 megapixels. I’ll be doing additional tutorials with the GoPro Hero 3+, so stay tuned. Want to learn more techniques like this? 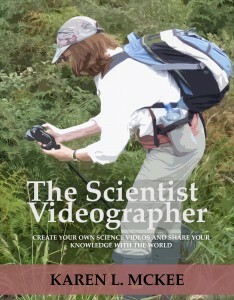 If so, you may be interested in my ebook, The Scientist Videographer, which covers everything you need to know to produce an effective and professional video. Available in iTunes Store (fully interactive version for iPad, iPhone, & Mac), Smashwords (text version), and Amazon Kindle (text version). Are you thinking about making a video but are afraid of looking like an amateur? I get a lot of questions about shooting video, but most often about what equipment to buy. My response usually is that the equipment is not as important as knowing how to shoot and edit the film properly. If you make amateurish mistakes while filming or editing, it doesn’t matter if you used a $500 or a $5,000 camera. I know, because I’ve made a lot of those beginner mistakes. When we adopt a new technique or purchase new equipment, we quickly discover that knowledge of what NOT to do is as important as learning what to do. When I worked for a government science agency, I wrote many SOPs (Standard Operating Procedures) that were supposed to be followed by members of my research group. However, I found that in addition to writing a step-by-step description of how to conduct a procedure, I also needed to include a list of actions that should be avoided. The latter were typically things that an expert would have picked up through trial and error but that often were not mentioned in the standard instruction manual. I even discovered that I needed to write an SOP on how to use an SOP (those of you in government service will appreciate the irony in that). I’ve previously posted some of the most common mistakes that beginners make in creating their first video, but they bear repeating. Below is my list of mistakes to avoid when making a video, with emphasis on the scientist as videographer. Below the list is an embeddable slideshow with additional information about each one. Do you want to raise the visibility of your research articles but don’t know how? 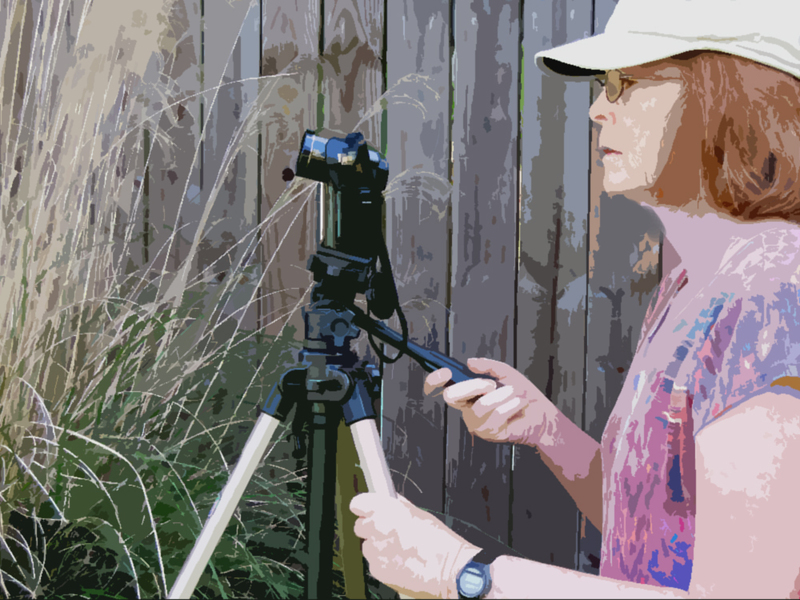 One way to make your work more visible online is to create a video or other visual description of your work and post it online. A text link to your paper may be buried on page 43 of a Google search, but a visual link (image or video) is likely to be ranked higher (and possibly featured on the first page of search results if there are few competing visuals on your research topic). A number of journals and scientists are using video or visual abstracts to promote papers, but it can be a challenge to create a visual abstract from scratch. So I’ve been working on a template to help those researchers who would like to create a visual abstract for a journal article. I finally finished it and am making it available to everyone. I created the visual abstract template with Prezi and posted it on the Prezi website where anyone can reuse it. You will need to set up an account (free) on Prezi (or purchase an upgrade if you want to work on your computer). The template has a basic design for a visual abstract and contains media and text placeholders, which allow someone to easily substitute their own material. Instructions are built into the template so that the user can follow along and understand how to modify the template and create their own visual abstract. There are tutorials on the Prezi website that provide additional instructions for using Prezi. If you would like to use this template, go to this webpage and download it. Once downloaded to your account, you will be able to make whatever changes you like—even change the entire theme, if you wish. You don’t have to acknowledge me as the source of the template (although that would be nice) but please consider retaining the link and embed code for the template so that anyone viewing your abstract will know where to find the template for their use.